Wed., Jan. 18, Paul De Ritter Duo, Atria Lake Forest, Sanford, Fl., 3-4 p.m.
Fri., Jan. 20, Paul De Ritter Duo, Brookdale Lake Tavares, Tavares, Fl., 3-4 p.m. Sat., Feb. 11, Paul De Ritter Quartet Concert, Modernism Museum, Mount Dora, Fl., 7 p.m.
Tues., Feb. 14, Paul De Ritter Quintet, Lake View Terrace, Altoona, Fl., 5:30-7:30 p.m.
Fri., Feb. 24, Paul De Ritter Duo, Brookdale Lake Tavares, Tavares, Fl., 3-4 p.m.
Tues., Feb. 28, Paul De Ritter Duo, Brookdale Tavares, Tavares, Fl., 3-4 p.m. Thurs., March 2, Paul De Ritter Duo, Mission Inn, Howey-in-the-Hills, Fl., 6-9:30 p.m.
Tues., March 14, Paul De Ritter Trio, Leesburg Public Library, Leesburg, Fl., 2-3 p.m.
Fri., March 17, Paul De Ritter Duo, Brookdale Lake Tavares, Tavares, Fl., 3-4 p.m. Sat., March 18, Paul De Ritter Quintet, Royal Dames of Ocala Benefit, Circle Square Cultural Center, Ocala, Fl., 6-11 p.m.
Wed., March 22, Paul De Ritter Duo, Southern Palms R.V. Park, Eustis, Fl., 2-4 p.m.
Wed., April 19, Paul De Ritter Trio, Stone Creek Reunion Center, Ocala, Fl. Fri., April 21, Paul De Ritter Duo, Brookdale Lake Tavares, Tavares, Fl., 3-4 p.m.
Fri., May 19, Paul De Ritter Duo, Brookdale Lake Tavares, Tavares, Fl., 3-4 p.m. Mon., May 22, Paul De Ritter Duo, Atria Lake Forest, Sanford, Fl., 3-4 p.m. Sat., March 25, Paul De Ritter Duo, Hands Across the Highway Art Show and Sale, Circle Square Cultural Center, Ocala, Fl., 10-1 p.m.
Fri., April 14, Paul De Ritter Duo, Freedom Pointe, The Villages, Fl., 3-4:30 p.m.
May 30-June 4, International Trumpet Guild Conference, Hershey, Pa.
Fri., June 16, Paul De Ritter Duo, Brookdale Lake Tavares, Tavares, Fl., 3-4 p.m. Thurs., July 27, Paul De Ritter Duo, On Top of the World Happy Hour, Ocala, Fl., 4-6 p.m.
Fri., Oct. 20, Paul De Ritter Trio, Freedom Pointe, The Villages, Fl., 7-9 p.m. Mon., Dec. 11, Paul De Ritter Duo, La Paloma Christmas Party, The Villages, Fl., 6-9 p.m. Sat., 2/6, Paul De Ritter Quintet, Mardi Gras Main Stage, Leesburg, Fla., 11-2:30 p.m. Sat., 4/16, Paul De Ritter Duo, Hand Across the Highway Art Show, On Top of the World, Ocala, Fla., 10-1 p.m.
Fri., Nov. 18, perf. w/Mount Dora Jazz Band & Ron Seggi Concert, Athena Theater, Deland, Fl., 7:30 p.m.
Wed., Nov. 23, Paul De Ritter Duo, Atria @ Lake Forest, Sanford, Fl., 3-4 p.m. Mon., March 30, Paul De Ritter Quintet, THE BALLROOM, 1250 HAND AVE., ORMOND BEACH, FLA., 8-10 p.m. Mon., Aug., 3, Paul De Ritter Quintet, Gazebo Concert, Hinsdale, N.Y., 6:30-8 p.m. Sat., Aug. 15, Paul De Ritter Duo, Four Mile Brewing, Olean, N.Y., 6-9 p.m.
Fri., Nov. 20, Paul De Ritter Trio, Freedom Point, The Villages, Fla., 7-9 p.m.
Fri., Dec. 11, Paul De Ritter Duo, Freedom Point, The Villages, Fla., 3-4:30 p.m. Thurs., 12/31, Paul De Ritter Duo, Brookdale Lake Tavares, Tavares, Fla., 11:30-12:30 p.m. 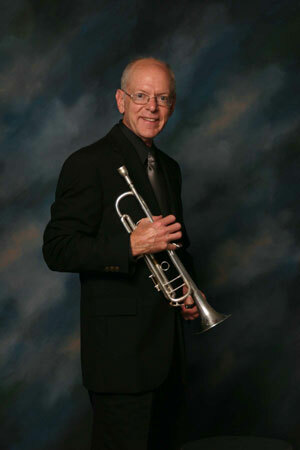 Sat., Feb. 15, Paul De Ritter Quintet, Lakeside Terrace, Fruitland Park, Fl , 7-9 p.m. Sat., April 5, Paul De Ritter Duo, Circle Square Cultural Center Art Show, Ocala, Fl., 10-1 p.m. Sat., June 28, Paul De Ritter Duo, Beef and Barrel Restaurant, "Jazz on the Sidewalk", Olean, N.Y., 6-10 p.m. Sun., Oct. 26, Paul De Ritter Quartet, St. Paul's Catholic Church 60th Anniversary Picnic, Leesburg, Fla., 2-4 p.m.
Fri., Oct. 31, Paul De Ritter Quartet, Pennbrooke Fairways Country Club, Leesburg, Fl., 7-10 p.m.
Thursday, Dec. 31, Paul De Ritter Quintet, Recreation Plantation, Lady Lake, Fl., 8-12:30 a.m. Sat., Jan. 5, Paul De Ritter Duo, Grand Oaks Resort, Weirsdale, Fl., 6:30-9:30 p.m.
Tues., Jan. 22, Paul De Ritter Duo, Center State Bank, Leesburg, Fl., 5:30-7 p.m.
Fri., Jan. 25, Paul De Ritter Duo, Bonifay Country Club, The Villages, Fl., 6:00-8:30 p.m.
Tues., Jan. 29, Paul De Ritter Quartet, Lake Port Square, Leesburg, Fl., 2-4 p.m.
Fri., Feb. 1, Paul De Ritter Duo, Bonifay Country Club, The Villages, Fl., 6:00-8:30 p.m. Sat., Feb. 9, Paul De Ritter Quintet, Mardi Gras Main Stage, Leesburg, Fl., 11 a.m.-2:30 p.m. Sat., Feb. 9, Paul De Ritter Duo, Hacienda Hills Country Club, The Villages, Fl., 6-9 p.m. Sun., Feb. 10, Paul De Ritter Quintet Concert, Lakes at Leesburg, Leesburg, Fl., 3-5 p.m.
Wed., Feb. 12, Paul De Ritter Duo, Bonifay Country Club, The Villages, Fl., 12:30-3:30 p.m. Thurs., Feb. 21, Paul De Ritter Duo, Arbor Club Ballroom, On Top of the World, Ocala, Fl., 4-6 p.m. Sun., March 10, Paul De Ritter Duo, Evan's Prairie Country Club, The Villages, Fl , 12:30-3:30 p.m. Thurs., March 14, Paul De Ritter Trio, Mount Dora Yacht Club, Mount Dora, Fl , 6:30-10:00 p.m. Sat., March 16, Paul De Ritter Trio, Scottish Highlands, Leesburg, Fl., 7-10 p.m. Sun., March 24, Paul De Ritter Duo Bonifay Country Club, The Villages, Fl, 12:30-3:30 p.m.
Fri., March 29, Paul De Ritter Duo, The Pub at Freedom Pointe, The Villages, Fl., 3-4:30 p.m. Sat., March 30, Paul De Ritter Duo, Evan's Prairie Country Club, The Villages, Fl, 6:30-9:30 p.m. Sun., March 31, Paul De Ritter Duo, Evan's Prairie Country Club, The Villages, Fl, 12:30-3:30 p.m. Thurs., April 11, Paul De Ritter Duo, Senior Luncheon, Leesburg Community Center, Leesburg, Fl , 12:30-1:30 p.m. Thurs., April 11, Paul De Ritter Trio, Golf View Residents Party, Leesburg, Fl., 7-9 p.m. Sat., April 13, Paul De Ritter Duo, Circle Square Cultural Center Art Show, Ocala, Fl., 10 a.m.- 1 p.m. Sat., April 13, Paul De Ritter Duo, Mount Dora Women's Club Wine-Tasting, Norm's Wine Bar, Mount Dora, Fl., 6-8 p.m.
Fri., May 24, Paul De Ritter Duo, Angie's Restaurant, Olean, N.Y., 6-9 p.m.
Fri., June 7, Paul De Ritter Duo, Angie's Restaurant, Olean, N.Y., 6-9 p.m. 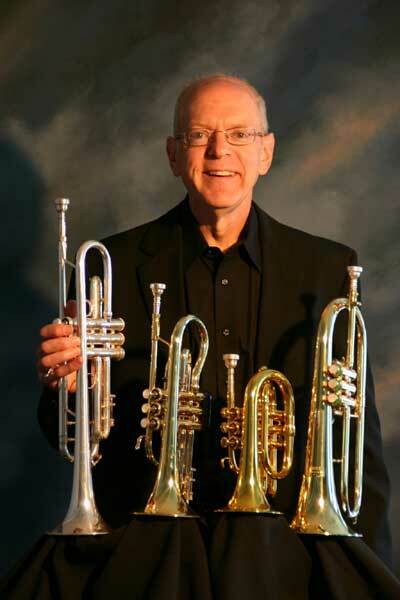 Sat., June 8, Paul De Ritter Duo, Alfred University Alumni Wine-Tasting, Alfred, N.Y., 2-4 p.m.
June 11-16, Tues.-Sun., International Trumpet Guild Convention, Grand Rapids, Mich.
Fri., July 12, Paul De Ritter Duo, Angie's Restaurant, Olean, N.Y., 6-9 p.m.
Wed. July 17, Paul De Ritter Duo Free Concert, Pioneer Park, Portville, N.Y., 6:30-7:30 p.m. Mon., Aug. 5, Paul De Ritter Quintet, Gazebo Concert, Hinsdale, N.Y., 6:30-8 p.m. Sat., Aug. 10, Paul De Ritter Quintet, Otto/Otto-Eldred Alumni, Bradford, Pa., 8-10 p.m.
Sunday, Aug. 18, Paul De Ritter Duo, Carpie's Grille, Cuba Lake, N.Y., 3-6 p.m. Sat., Nov. 9, Paul De Ritter Duo, Leesburg Farm Market, Leesburg, Fl., 9:30 a.m.-2 p.m. Mon., Dec. 16, Paul De Ritter Trio, Southeast Mass. Club, The Villages, Fl., 6-9 p.m. Thurs., Dec. 19, Paul De Ritter Duo, Arbor Club Ballroom, On Top of the World, Ocala, Fl., 4-6 p.m.
Wednesday, Jan. 4, Paul De Ritter Duo Concert, Church on the Square, The Villages, Fl., 6 p.m.
Sunday, Jan. 8, Paul De Ritter Duo, Plantation Oaks, Leesburg, Fl., 4-7 p.m.
Sunday, Jan. 15, Paul De Ritter Duo, Plantation Oaks, Leesburg, Fl., 4-7 p.m.
Sunday, Jan. 22, Paul De Ritter Duo, Plantation Oaks, Leesburg, Fl., 4-7 p.m.
Sunday, Jan. 29, Paul De Ritter Duo, Plantation Oaks, Leesburg, Fl., 4-7 p.m.
Wed., Feb. 1, Paul De Ritter Duo, Havana Country Club, The Villages, Fl., 5:30-8:30 p.m.
Sunday, Feb. 5, Paul De Ritter Duo, Plantation Oaks, Leesburg, Fl., 4-7 p.m.
Tues., Feb. 7, Paul De Ritter Duo, Havana Country Club, The Villages, Fl., 5:30-8:30 p.m.
Wednesday, Feb. 9, Paul De Ritter Duo, Canada Party, Leesburg, Fl., 5:30- 7:30 p.m.
Sunday, Feb. 12, Paul De Ritter Duo, Plantation Oaks, Leesburg, Fl., 4-7 p.m.
Tues., Feb. 14, Paul De Ritter Duo, Havana Country Club, The Villages, Fl., 5:30-8:30 p.m.
Saturday, Feb. 18, Paul De Ritter Quintet Concert, Leesburg Public Library, Leesburg, Fl., 2-3 p.m.
Sunday, Feb. 19, Paul De Ritter Duo, Plantation Oaks, Leesburg, Fl., 4-7 p.m.
Tues., Feb. 21, Paul De Ritter Duo, Havana Country Club, The Villages, Fl., 5:30-8:30 p.m.
Thursday, Feb. 23, Paul De Ritter Duo, Social Hour, On Top of the World, Ocala, Fl., 4-6 p.m.
Sunday, Feb. 26, Paul De Ritter Duo, Plantation Oaks, Leesburg, Fl., 4-7 p.m.
Tues., Feb. 28, Paul De Ritter Duo, Havana Country Club, The Villages, Fl., 5:30-8:30 p.m.
Sunday, March 4, Paul De Ritter Duo, Plantation Oaks, Leesburg, Fl., 4-7 p.m.
Tues., March 6, Paul De Ritter Duo, Havana C.C., The Villages, Fl., 5:30-8:30 p.m.
Sunday, March 11, Paul De Ritter Duo, Plantation Oaks, Leesburg, Fl., 4-7 p.m.
Tues., March 13, Paul De Ritter Duo, Havana C.C., The Villages, Fl., 5:30-8:30 p.m.
Saturday, March 17, Paul De Ritter Trio, Private Party at Scottish Highlands, Leesburg, Fl., 7-10 p.m.
Sunday, March 18, Paul De Ritter Duo, Plantation Oaks, Leesburg, Fl., 4-7 p.m.
Tues., March 20, Paul De Ritter Duo, Havana C.C., The Villages, Fl., 5:30-8:30 p.m.
Sunday, March 25, Paul De Ritter Duo, Plantation Oaks, Leesburg, Fl., 4-7 p.m.
Tues., March 27, Paul De Ritter Duo, Havana C.C., The Villages, Fl., 5:30-8:30 p.m. Sun., April 1, Paul De Ritter Duo, Plantation Oaks Restaurant, Leesburg, Fl., 4-7 p.m.
Tues., April 3, Paul De Ritter Duo, Havana Country Club, The Villages, Fl., 5:30-8:30 p.m.
Tues., April 10, Paul De Ritter Duo, Havana Country Club, The Villages, Fl., 5:30-8:30 p.m.
Friday, April 13, Paul De Ritter Duo, Freedom Pointe, The Villages, Fl., 3-4 p.m.
Saturday, April 14, Paul De Ritter Duo, "Hands Across the Highway Art Show", On Top of the World, Ocala, Fl., 10-1 p.m.
Saturday, July 7, Paul De Ritter Duo, Angee’s Restaurant, Olean, N.Y., 6-9 p.m. Sun., July 15, Paul De Ritter Duo, Carpie’s Grill, Cuba Lake, N.Y., 3-6 p.m.
Saturday, Aug. 4, Paul De Ritter Duo, Angee’s, Olean, 6-9 p.m.
Sunday, Aug. 5, Paul De Ritter Duo, Carpie’s Grill, Cuba Lake, 3-6 p.m.
Monday, Aug. 6, Paul De Ritter Quintet, Free concert, Gazebo, Hinsdale, 6:30-8 p.m.
Wednesday, Aug. 8, Paul De Ritter Trio, Free concert, Pioneer Park, Portville, 6:30-7:30 p.m.
Sunday, Aug. 19, Paul De Ritter Duo, Carpie’s Grill, Cuba Lake, 3-6 p.m.
Sunday, Sept. 16, Paul De Ritter Quintet, wedding, Chatauqua Institute, 1-7 p.m.
Friday, Nov. 30, Paul De Ritter Duo, The Hub at Freedom Pointe, The Villages, Fla., 3-4:30 p.m.
Thursday, Dec. 13, Paul De Ritter Duo, Social Hour, On Top of the World, Ocala, Fl., 4-6 p.m.
Thursday, July 7, Paul De Ritter Duo, Bistro, Cuba, 6-9 p.m.
Sunday, July 10, Paul De Ritter Duo, Carpie’s Grill, Cuba Lake, 3-6 p.m.
Thursday, July 14, Paul De Ritter Duo, Bistro, Cuba, 6-9 p.m.
Saturday, July 16, Paul De Ritter Quintet, Park Concert, Cuba Baptist Church, Cuba, N.Y., 7-9 p.m.
Thursday, July 21, The Paul De Ritter Quintet, concert in Lincoln Park, Olean, 7-9 p.m.
Thursday, July 28, Paul De Ritter Duo, Bistro, Cuba, 6-9 p.m.
Friday, July 29, The Paul De Ritter Duo, Hostageh, Olean, 6-9 p.m.
Saturday, July 31, The Paul De Ritter Duo, Ellicottville Jazz Fest, E’ville Brewing Co., E’ville, 5-8 p.m.
Monday, Aug. 1, Paul De Ritter Quintet, Hinsdale Gazebo, Hinsdale, N.Y.; 6:30-8 p.m.
Friday, Aug. 19, The Paul De Ritter Duo, Hostageh Restaurant, Olean, 6-9 p.m.
Sunday, August 21, Paul De Ritter Duo, Carpie’s Grill, Cuba Lake, 3-6 p.m.
Wednesday, Dec. 7, Paul De Ritter Duo w/Tom Pizzi, Christmas Jazz Concert, New Life Presbyterian Church, Fruitland Park, Fl., Noon, $5. Donation includes lunch! Saturday, Dec. 10, Paul De Ritter Trio, Scottish Highlands, Leesburg, Fl., 7-10 p.m.
Sunday, Dec. 25, Paul De Ritter, First Baptist Church, Okahumpka, Fl., 11 a.m.
We would love to have you join us for smooth jazz standards.